When you think of San Diego, what comes to mind? Probably the gorgeous beaches, a vibrant downtown, an enviable climate, not to mention the postcard worthy scenery. But did you know San Diego county, according to Sandiego.org, has more small farms than any other county in the entire United States? As the top producer of avocados, and in the top ten in honey productions, lemons, strawberries and egg laying hens, not to mention a large supplier of pomegranates, limes, guavas, macadamias and more, it’s no wonder that San Diego is host to countless of farmers markets throughout the county. On any given day you can discover local farmers selling seasonal goods, and of course, artisans offering anything from art to jewelry and other fine crafts. Fresh fish on display await customers at Dockside Market on San Diego Bay. Unlike the vast majority of farmers markets that are held weekly throughout the United States, San Diego is lucky to celebrate these popular community events throughout the year. With so many markets to choose from, chances are you will find something unique at every one. Here are just a couple of our favorites, and if you are in the market for your next dream home, the amazing properties listed below are all within close proximity to their neighborhood farmers market! Did you know there are several farmers markets in downtown San Diego? Some operate on different days, but here are a few you may want to visit. Gaslamp Quarter – Third Avenue Certified Farmer’s Market – Sundays 9:00-1:00 in the 400 block of Third Avenue between Island Ave and J Street. Little Italy Mercato – Saturday from 8:00-2:00 on B Street between 27th and 28th. North Park Thursday Market – Thursday 3:00-7:30 on North Park Way from 30th St. to Utah St.
Coronado Certified Farmers Market – Tuesdays from 2:30-6:00 at the Ferry Landing 1st and B.
El Cajon Certified Farmers Market – Thursday 3:00-7:30 from April to October, 3:00-6:00 from November to March. 190 E. Main Street at Rea Ave.
La Mesa Village Certified Farmers Market – Friday 2:00-6:00 from March to October, and 1:00 to 5:00 from November to February at Date Avenue and University Avenue. These are only a small sampling of farmers markets located throughout San Diego county. For additional information, and a list of all farmers markets, contact San Diego County Farm Bureau website. Thinking about how great it would be to walk out your front door and grab food fresh from your local farmers market? 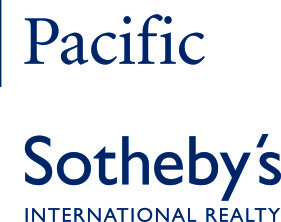 Pacific Sotheby’s International Realty offers these beautiful homes for sale, close to some of San Diego’s finest Farmers Markets. Walk to the Little Italy Farmer’s Market from this expansive town home that features two bedrooms with third optional bedroom, living and dining area as well as a beautiful kitchen with stainless steel appliances and granite countertops. With amenities galore, including lap pool, club room, fitness center, concierge service and 24 hour security, this is the ideal place for sophisticated living in downtown San Diego. Less than a ten minute drive to La Mesa’s weekly, year round Farmer’s Market is this move in ready mountain view residence in the Mesa Del Sol community. A former model home, here you will enjoy many features that set this property apart from the rest including large kitchen with stainless steel appliances, hardwood flooring, designer lighting, marble counter tops in the master bath and a private rear yard with mature trees for shade. Family perfect home! Only a short five minute drive to Canyon Crest Academy, the location for the popular Carmel Ranch Farmers Market is this exceptional home by award winning builder Davison Communities. Situated in a gated enclave, this home offers a seamless layout designed to enjoy indoor and outdoor living. Equipped with all the luxury features, you can lay by the pool and veranda to enjoy the amazing canyon views. While this home may be a bit of a longer drive to the Escondido Farmers Market, here is a home worth seeing if you are in the market for a luxurious estate in a tranquil setting. With too many features to mention, this home offers top of the world, panoramic mountain and ocean views, saltwater infinity pool and jacuzzi, all new Viking kitchen, a master wing with heated bathroom and shower floor, yoga room and so much more.